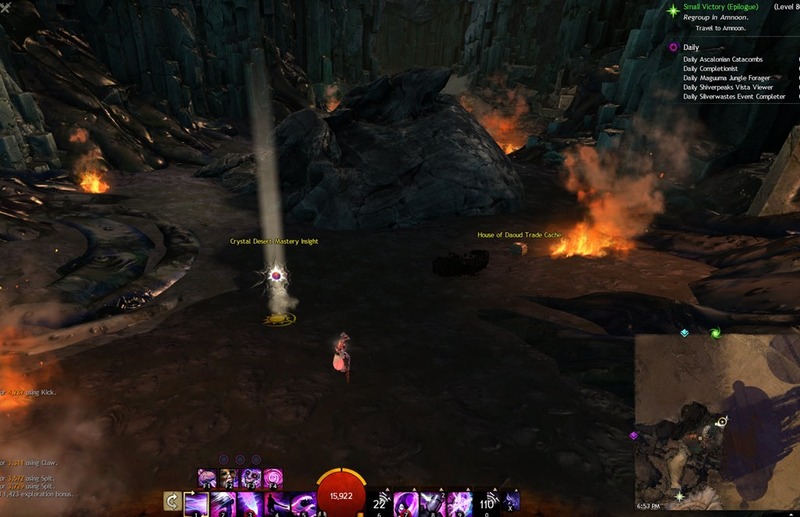 Guide is organized so that insights that require less mount masteries are at the top. 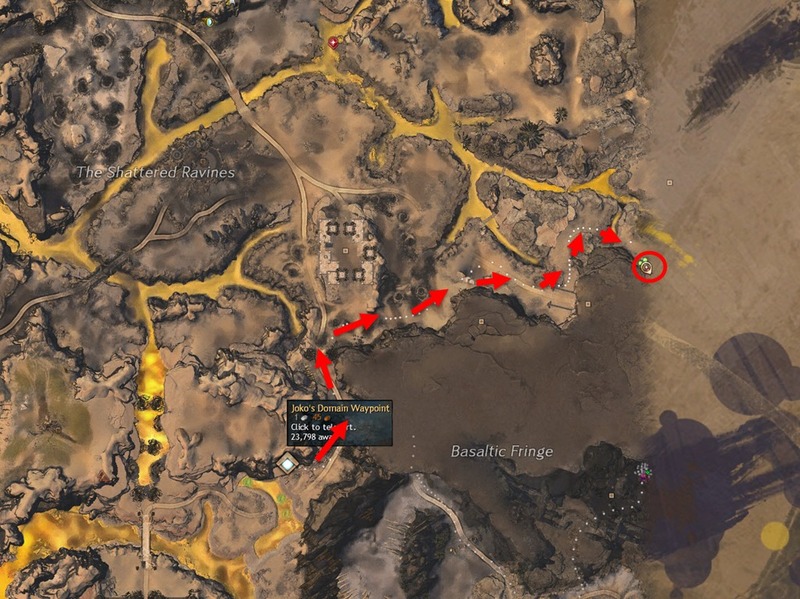 There are three insights here that require the Jackal Shifting Sands mastery. 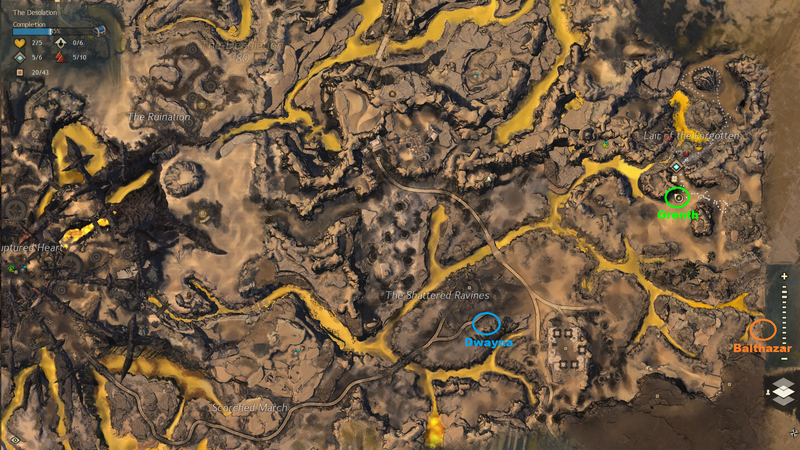 Pretty easy to reach if you are coming from the zone entrance from on the far east via Elon Riverlands, just need a raptor jump over the rocks. 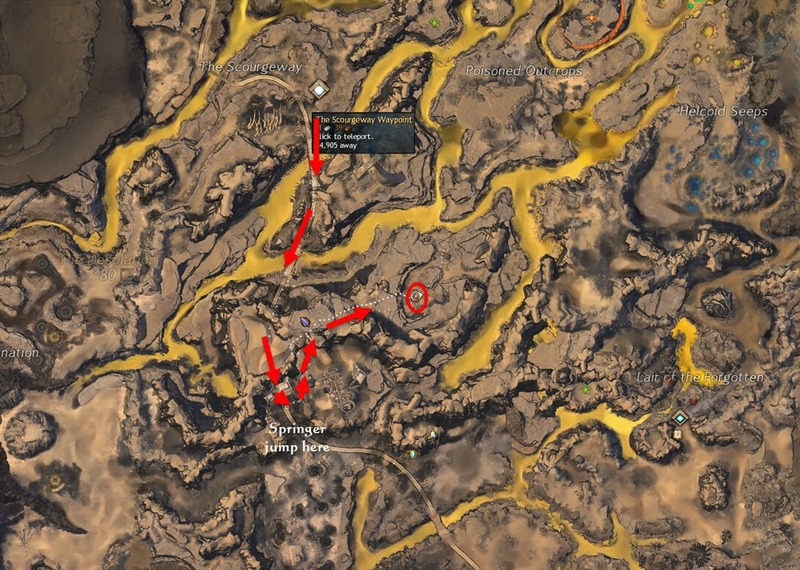 Coming from Joko’s Domain waypoint, just follow the path and it is pretty straightforward. 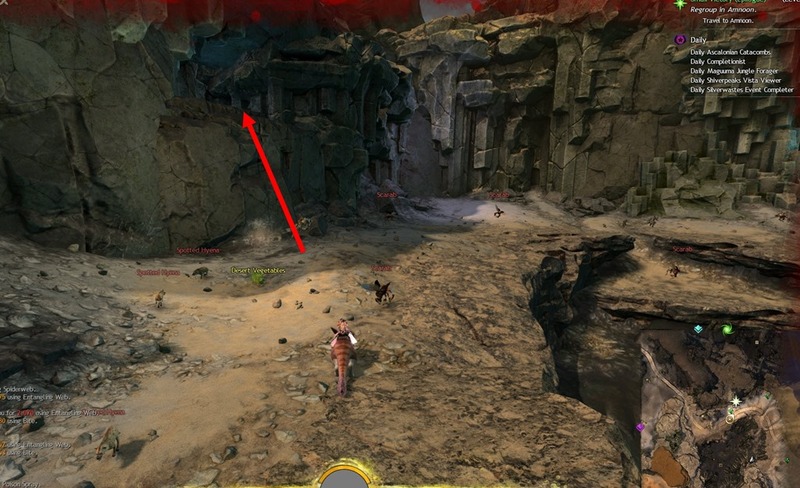 Just watch for enemies and mines that can dismount you. Easiest way I found for this is to reach the griffon roost with springer and then just glide to the mastery. 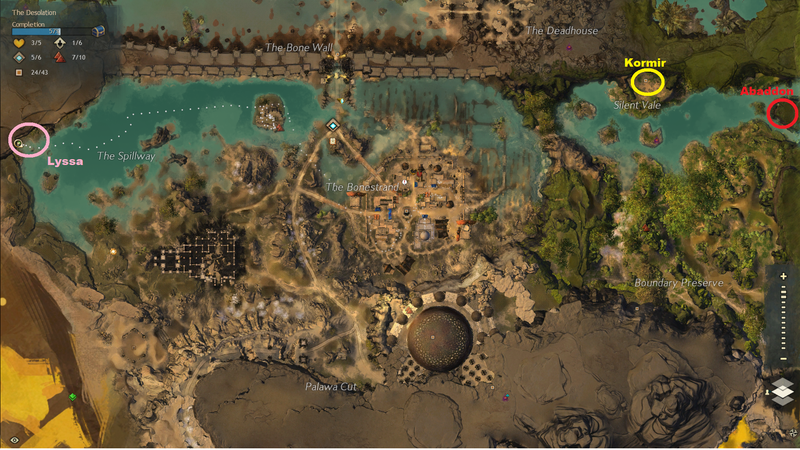 There are two vets down there guarding the mastery insight so be prepared for fight or stealth. 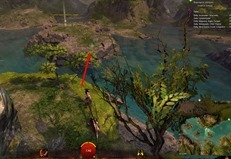 If you are not sure how to get to the griffon roost, use the springer to jump up the wall to your left at where I turn on the map. Otherwise follow the video. 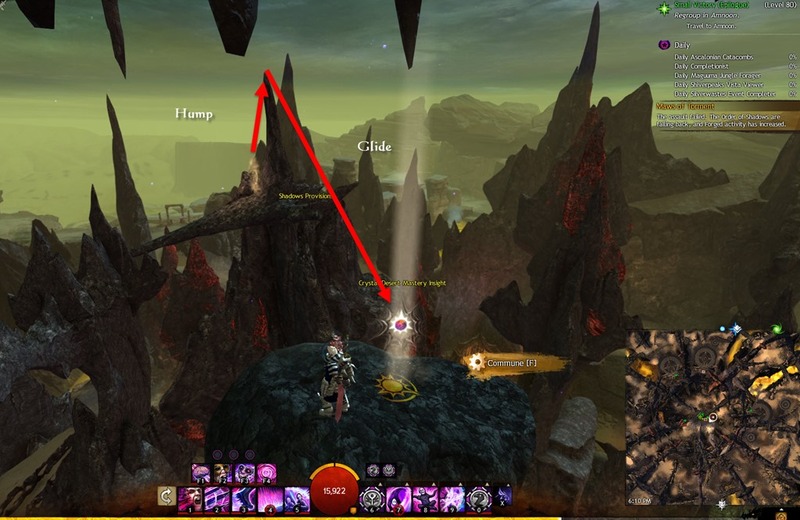 Follow the path from Joko’s Domain waypoint. 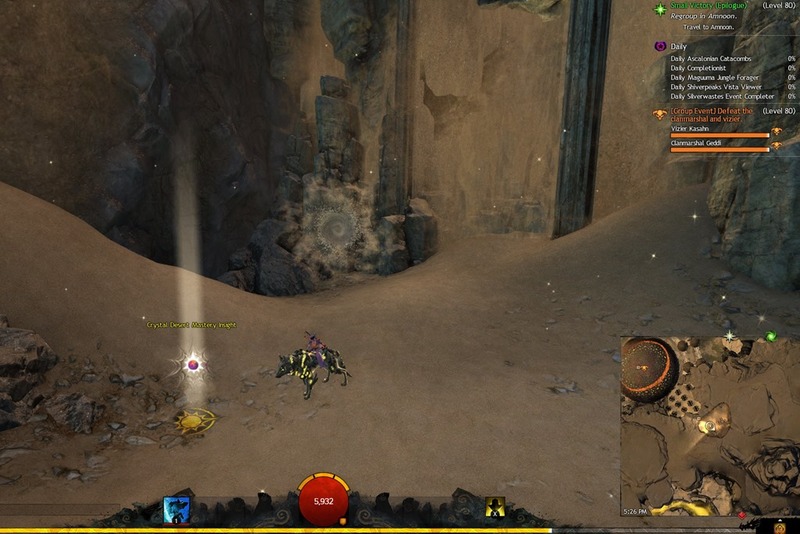 At the starred location on the map is a tunnel in the wall you can jump in with the springer and the mastery insight is at the end with lots of tar elementals. 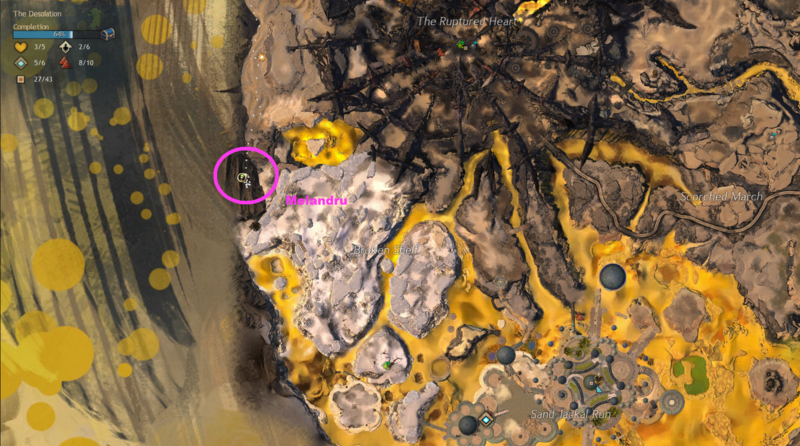 Easiest to reach from Sand Jackal Run waypoint, skimmer you way to a bunch of forged and then springer jump your way to the mastery insight. Run through Clanmarshal’s Pergola POI. 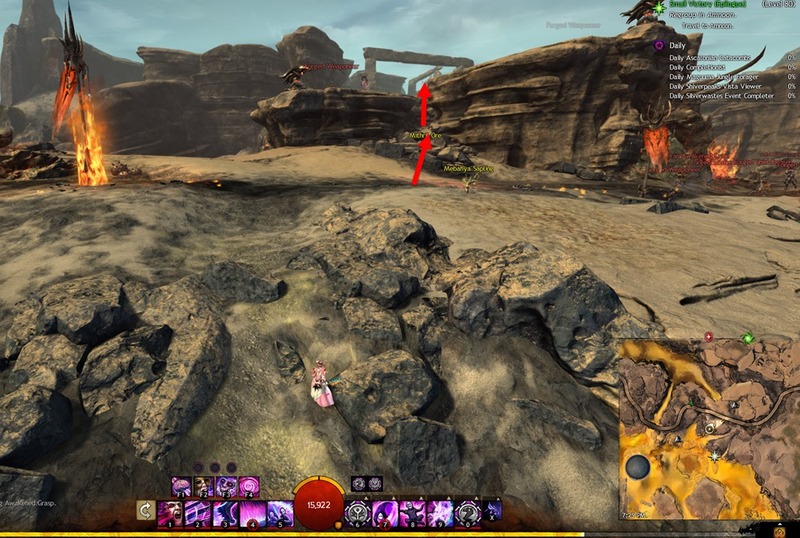 When you get to the room right before the mastery point, you will notice that the way forward is blocked by a sand wall. Turn a 180 and look for a sand portal on the ground. 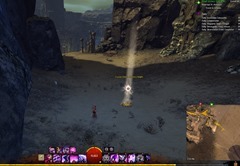 This will take you to the sand portal in the air and you just have to blink through the air to reach the last portal that lead you to the mastery insight. 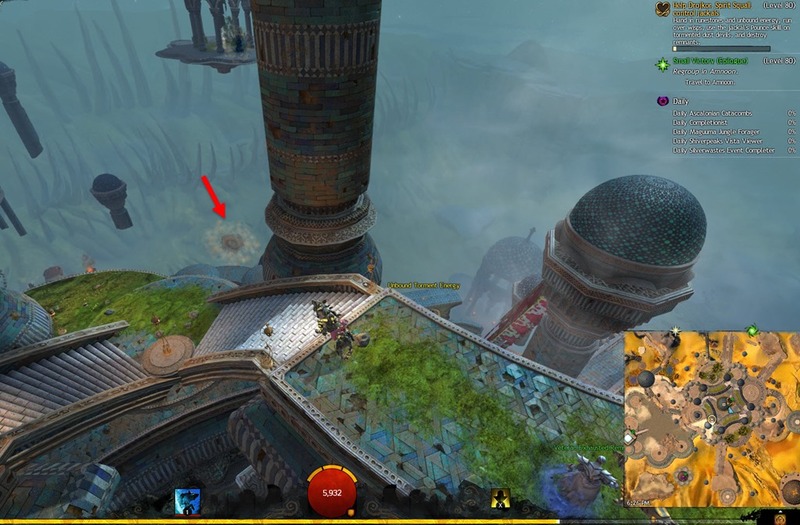 Use the portals near the waypoint to get up to the Djinn Enclave and then use a sand portal you can reach at top of the building (take the small stairs) to get ported directly to the mastery point. 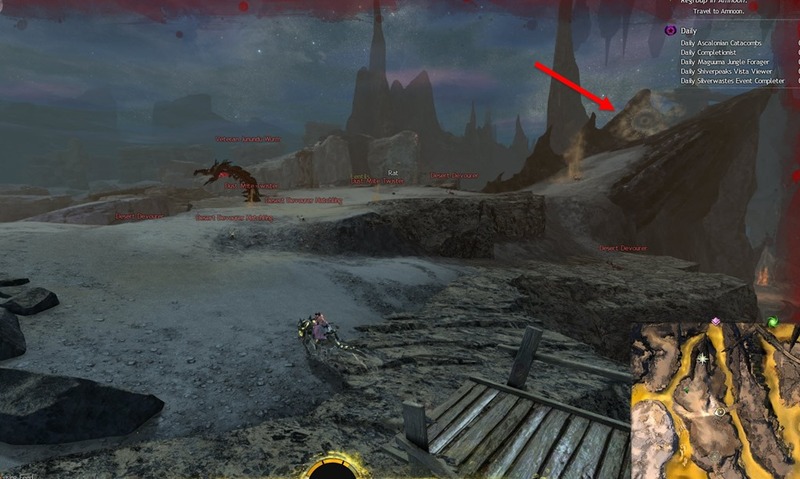 This one is easy to get with a griffon but you can get there without it using springer high vault. 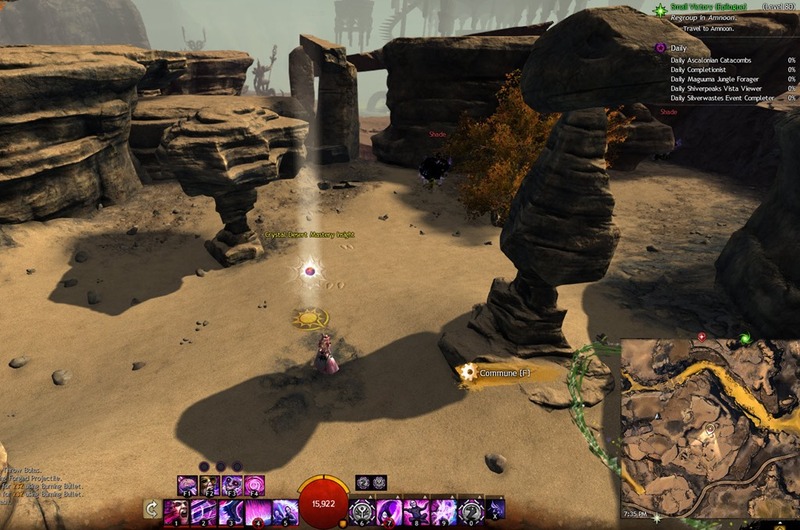 There is a jackal sand portal at the starred location. Use it will port you close to the mastery insight but not enough for a glide. 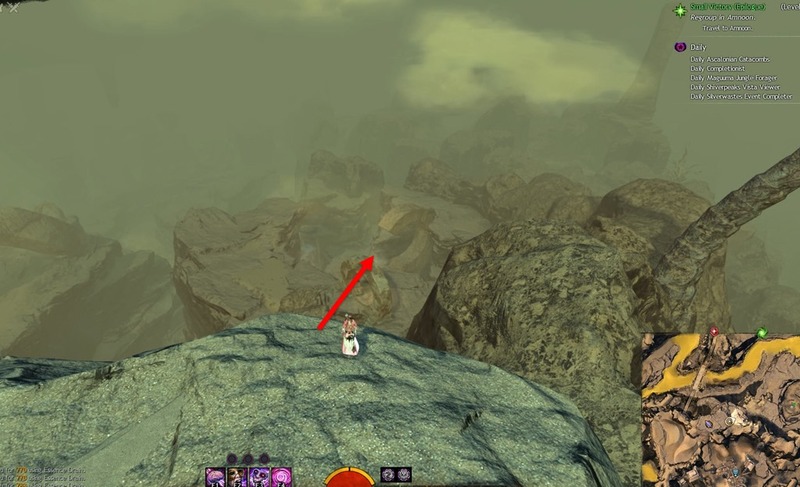 Either use griffon here or use springer to jump the big rock next to the portal and hope you land on the very tip and then immediately glide after dismounting to glide to the mastery insight. 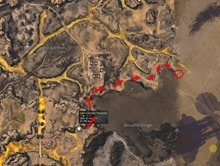 available) straight to the mastery point. 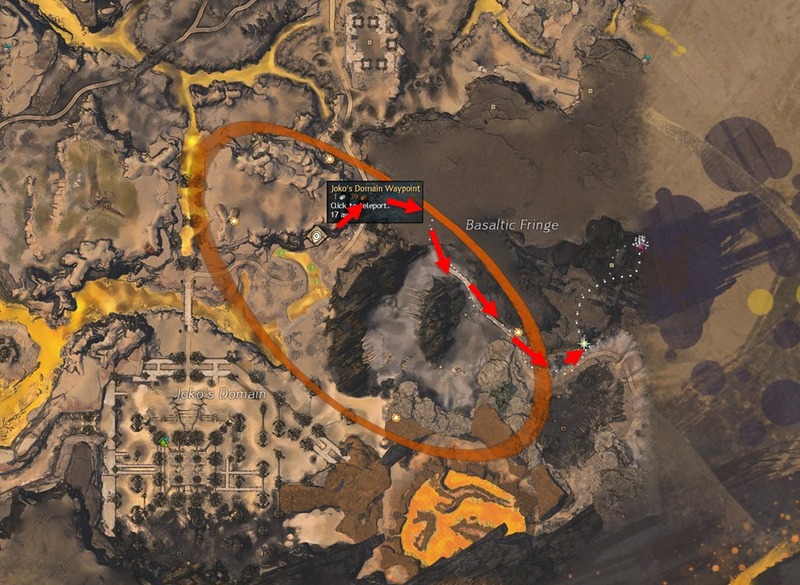 No need to run all the way where you marked it and use the jackal portal. 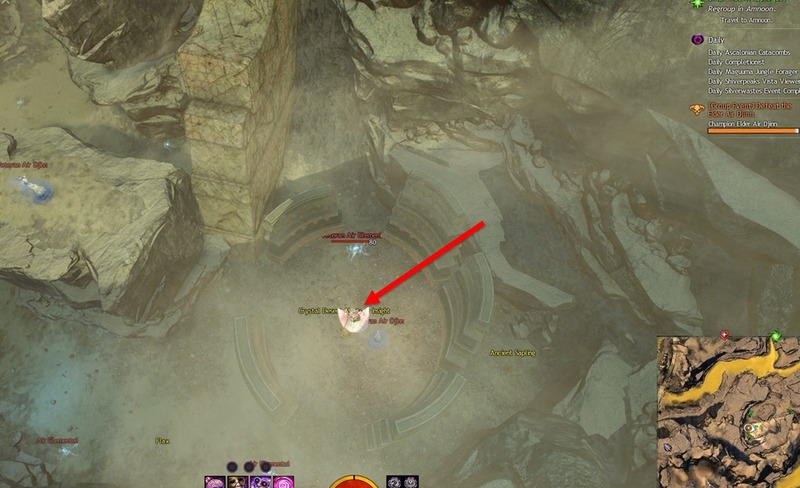 But yeah, only if you can use griffon. If I open a map, your website freezes as all the ads fail to download. Once you fix this, I’ll donate. Invest first, and then make money. Its not… ask for donations, and then invest. $0 from pretty much everyone until then. 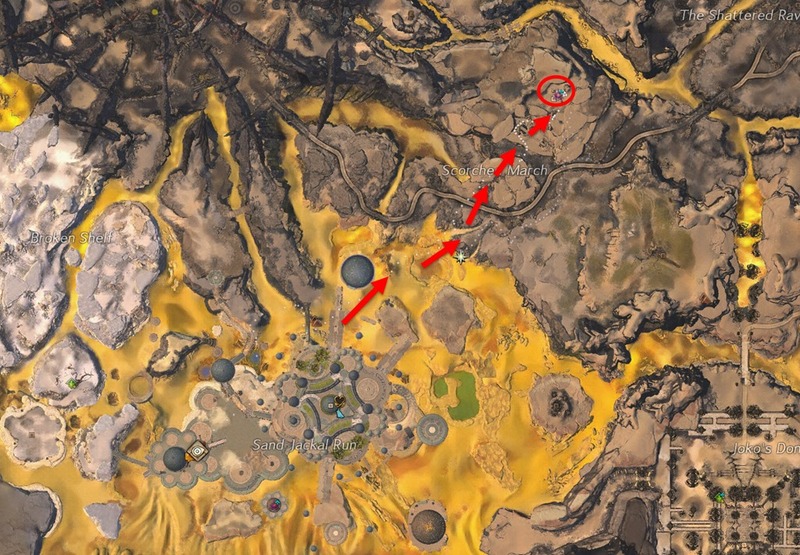 However, thanks for the great guides! Not sure what you are going on about, there is nothing on the page asking you to donate and it is purely optional. Ads keep the site float, but if you are having issues with it I would suggest using an ad blocker. I’d happily pay you a monthly fee for no ads. Your website is great except when it freezes and I have to spend 20 minutes in the bathroom crying and putting on lipstick. 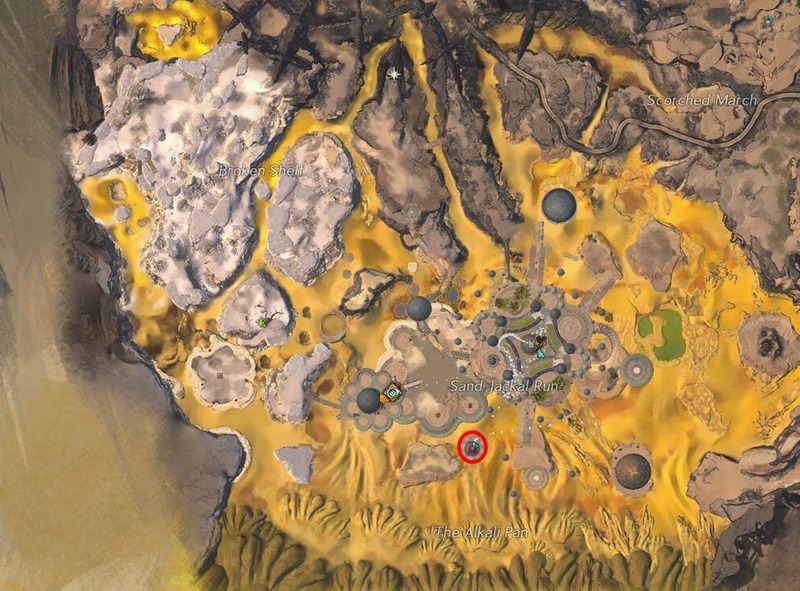 For the Mouth of Torment, you don’t need to run through the whole sulfur field (and lots of mobs!) to get to the portal. 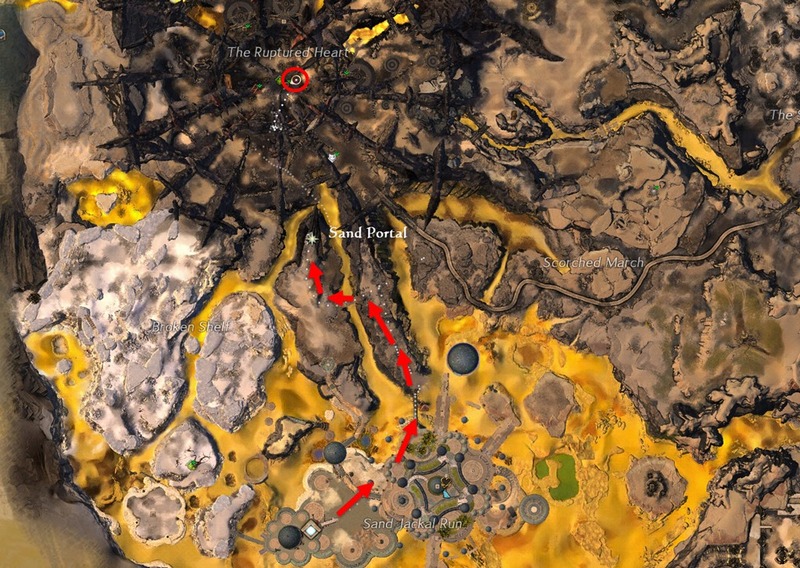 Use the sand portal to go to the Djinn Enclave. 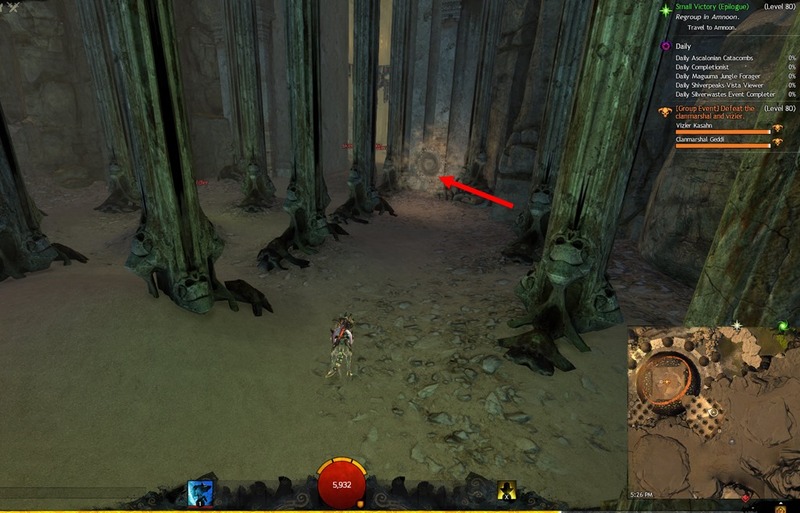 Immediately turn left and walk along the edge of the level until you see a sand portal between two torches. 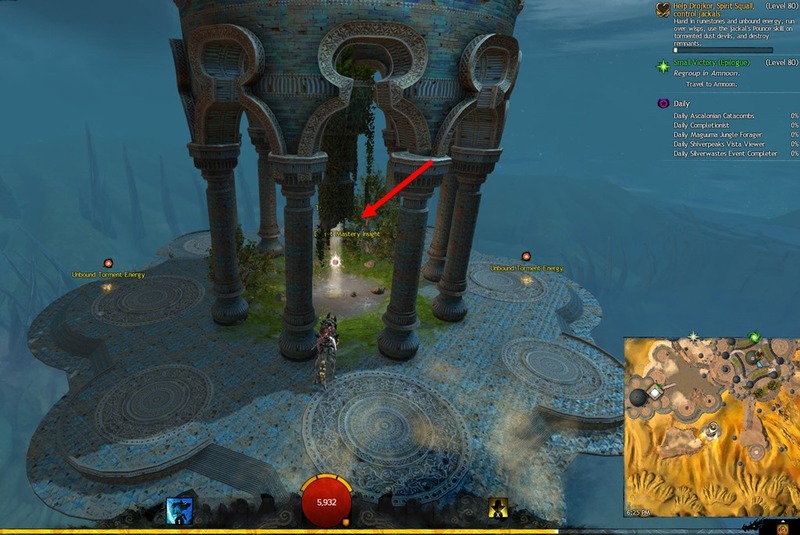 This portal takes you to the twin portals on the other end of the island where the portal to The Ruptured Heart is. 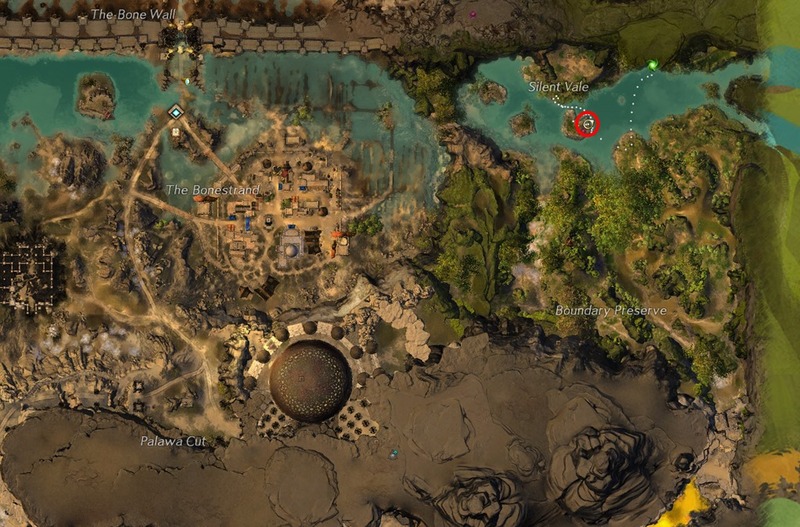 Dulfy, there is a Mastery Point near the Way Point South of the Darklands the Mastery point is NW of where it says Darklands. 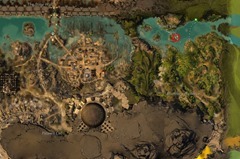 Yet when I get there, their is no Mastery Point. I am bringing this up only because it’s not on your radar when it comes to the Videos you have. can you please enlighten me on what is going on here? I would Greatly Appreciate it if you could Sir. 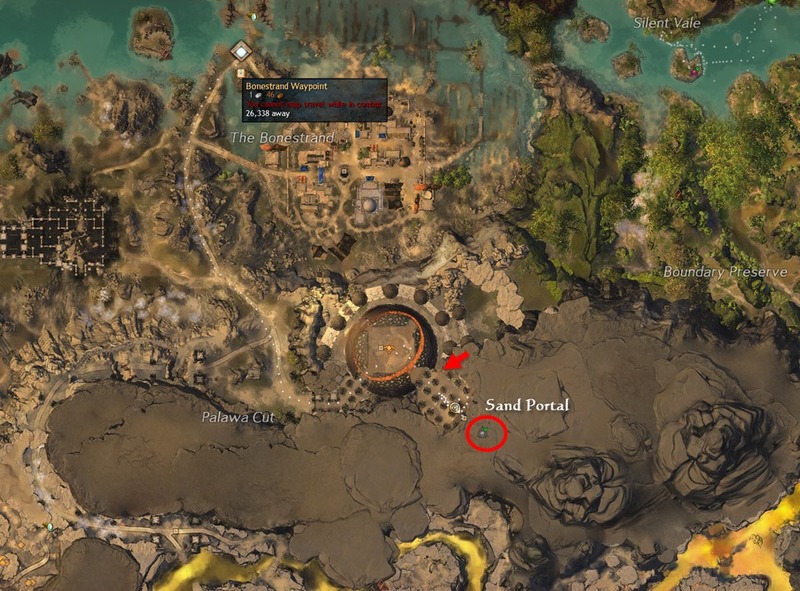 Sandfall Sanctum – you can get there by springer with 3rd upgrade and glider.